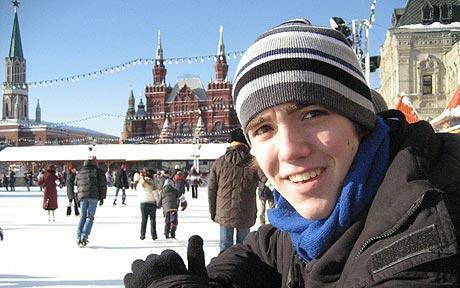 The Sunday Telegraph recently published the story of Henry Perkins’ history making graduation from the Bolshoi Ballet Academy in Moscow on Friday 25th June 2010 – he is the first British ballet dancer to ever graduate in their 237 years of existence. In fact, he is one of only a handful of non-Russians to have ever completed the full diploma course since the fall of the Soviet Union allowed foreigners to train there. 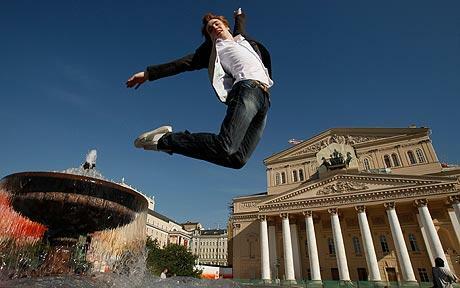 The story ran on Sunday 27th June 2010 under the title “A fairy tale comes true for Briton at the Bolshoi”. You can read the Telegraph article online here..
A similar story appeared on the BBC news site.. He has now been offered a contract with the Estonian National Ballet in Tallin later this year. * Henry was given a bursary by the Lisa Wilson Charity Fund back in 2006. You can read our first post about him here..